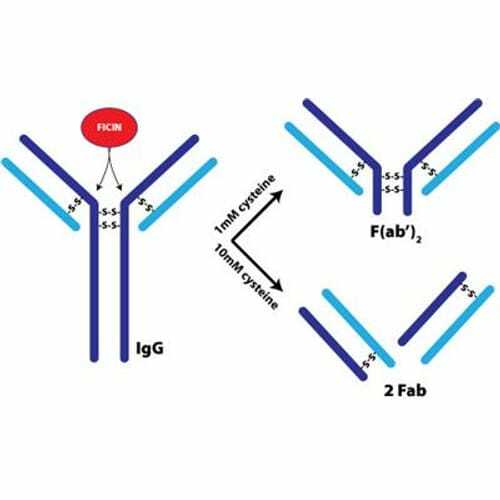 Ficin (or Ficain) is a cysteine protease enzyme (EC 3.4.22.3) isolated from fig latex is that has the endopeptidase activity to cleave immunoglobulin G molecules in the hinge reason. 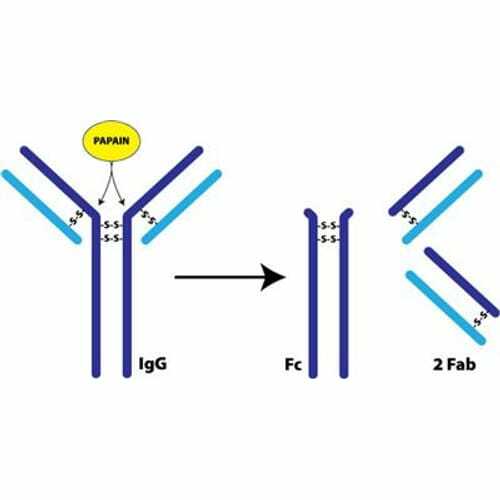 Ficin is typically used to cleave mouse IgG1 as this are difficult to cleave with papain and pepsin. 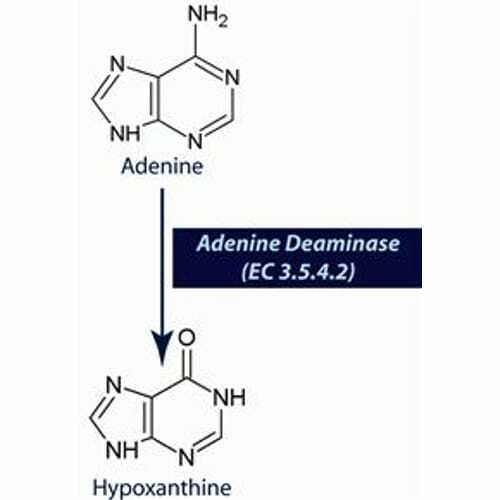 In the..
Papain is a cysteine protease enzyme (EC 3.4.22.2) that has the endopeptidase activity to cleave immunoglobulin G molecules in the hinge region. This cleavage results in the generation of three ~50kDa fragments; two Fab domains and a Fc domain. 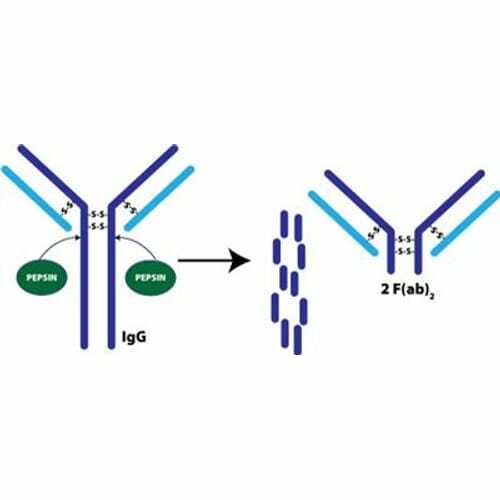 The papain-digested antibody is unable to p..
Pepsin is a proteolytic enzyme that is routinely used for the generation of F(ab)2 fragments from immunoglobulin G (IgG). The pepsin has the ability to cleave the heavy chains near the hinge region. 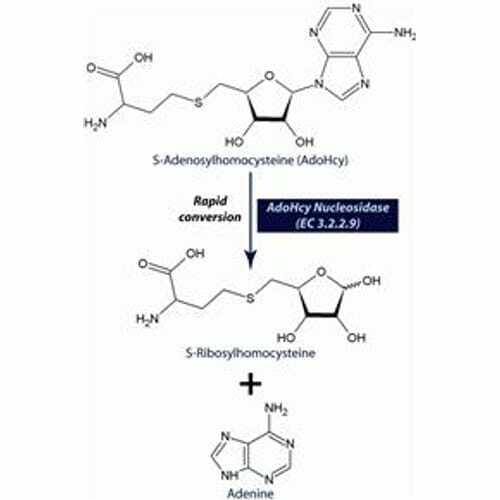 One or more of the disulfide bonds that join the heavy chains in the hinge region are preserved..
Immobilized Trypsin is TPCK Treated Trypsin immobilized on 4% agarose that eliminates the contamination of protein digests by the trypsin. 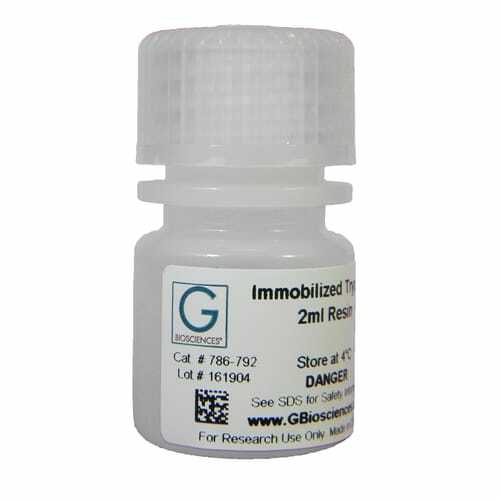 The immobilized trypsin is readily removed by separating the agarose from the digestion solution. 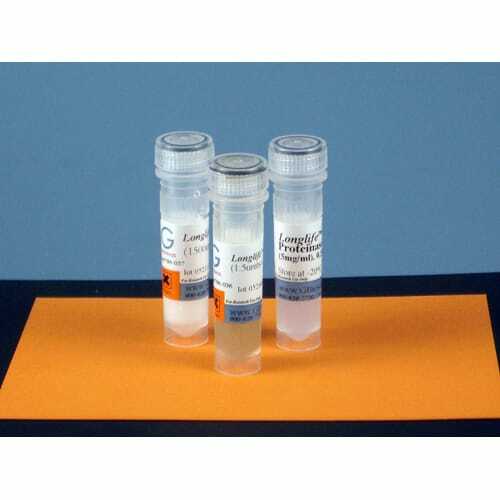 Trypsin is a serine endopeptidase that specific..
Enzymes regularly used in laboratory applications often require preparation of fresh solution before each use. 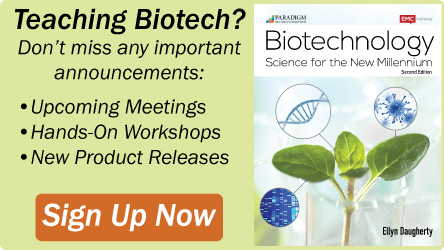 Making fresh enzyme solution for each application is time consuming and wasteful. 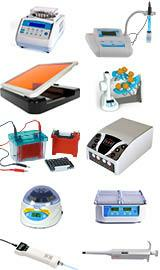 A wide variety of enzyme preparations in a ready-to-use format are offered. 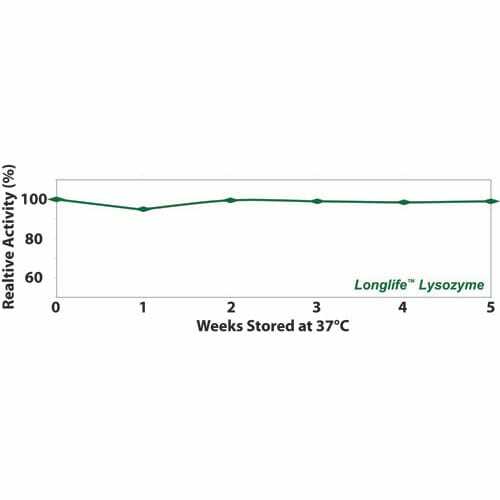 LongLife™ ..
Firefly luciferase is a unique photoprotein used in bioluminescence for high sensitive detection and quantification of ATP and as a reporter for studying gene function and regulation. 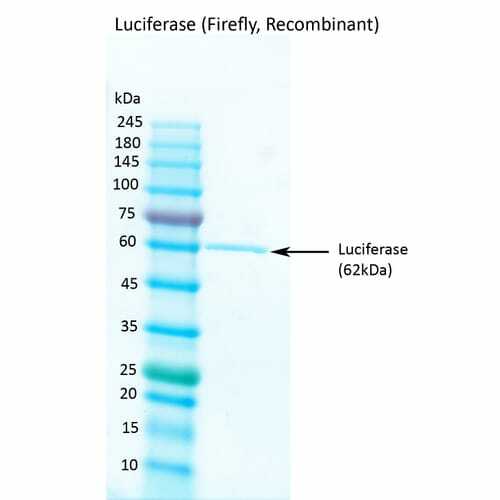 Luciferase (Firefly, Recombinant) is recombinant 62 kDa protein expressed in E. Coli. Click here to re..